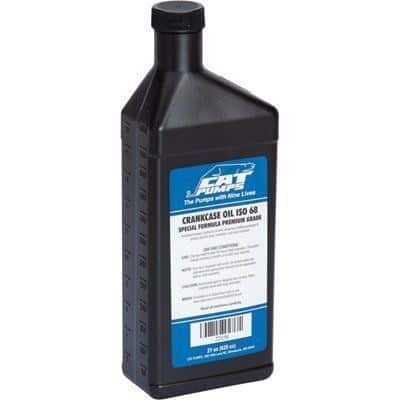 How to Perform a Quick Pressure Washer Oil Change? Hi, My name is Grady Galvez, I have been a handyman till I found my passion for educating about quality products & subsequently blogging for a greater good of society. I love to find great products and review them from a professional’s perspective and share my findings with my readers. I don’t endorse any products but in case you find my advice worthy in your quest for knowledge regarding the topic, I’d request you to share my blog on Social Media of your choice. I’d feel highly obliged for this favor. Why Should Change the Oil in Pressure Washer Pump? 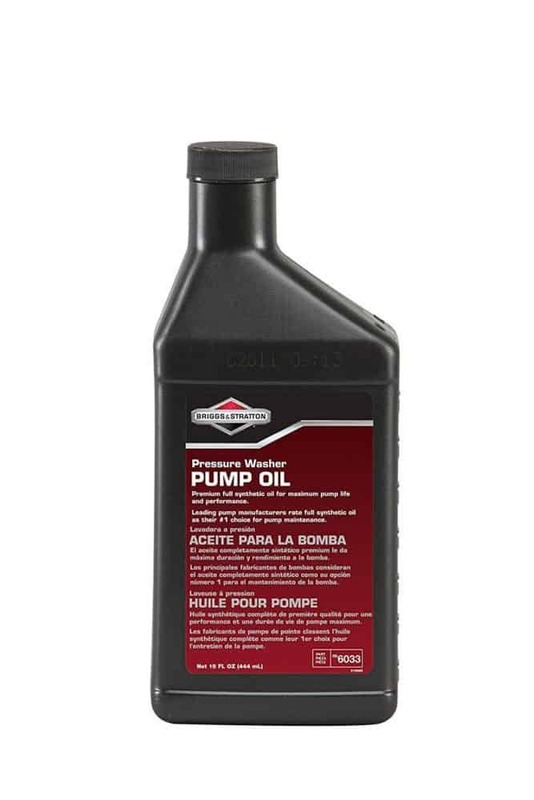 When To Change The Pump Oil In Pressure Washer? Pressure washers need constant maintenance because their engines are small and designed in a way that needs a constant change of pump oil. If the pressure washer is working regularly, then the pump oil should be changed frequently. 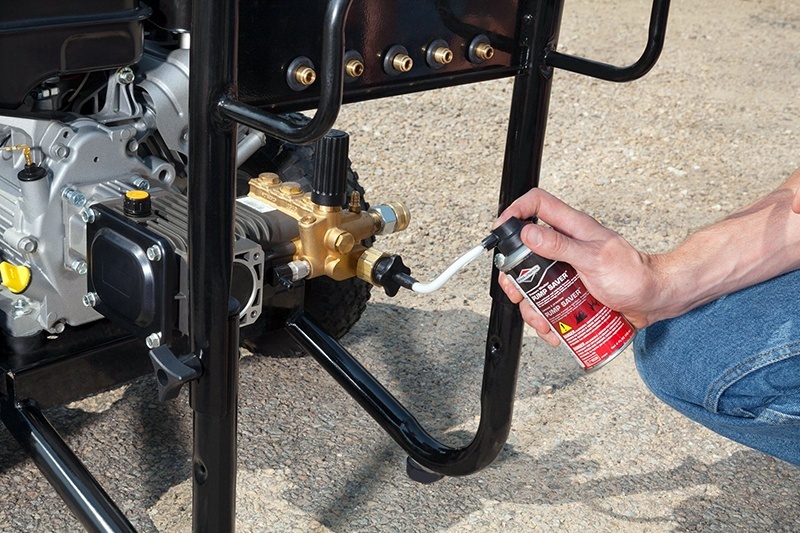 Pressure washer pump oil is specially formulated for small engines and is a necessity. If you want to carry on the pressure cleaning without any problems, you should change the pump oil because it is the lubrication engine needs. Before heading towards when to change the pump oil, let’s gather some points on why should you change it. The engine works for long hours, and due to constant piston movements, pressure and heating inside the chamber, pump oil degrades itself. It becomes less smooth and stickier. 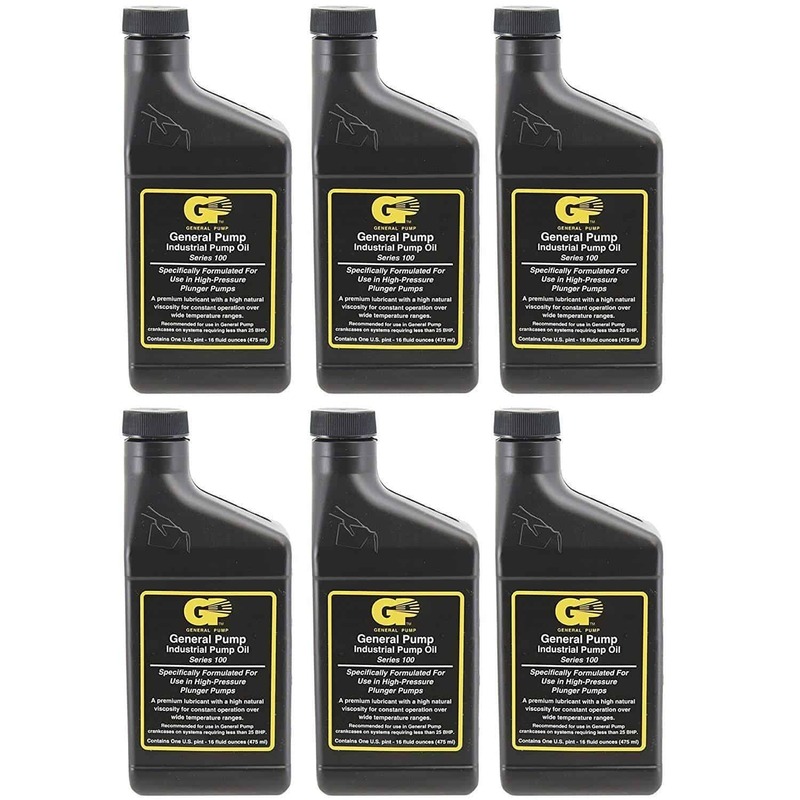 This stickiness is not good for the engine to run because the pump oil should be smooth to have piston movements, not hindering or resist the movements. So if you don’t change the pump oil, the piston and the surface in touch would get a lot of friction, causing them to degrade. When the oils get sticky, it attracts dirt and smokes. So in the exhaustion process, a lot of smoke is released into the environment. This smoke can stick into the oil, making it very deadly for the engine, so new pump oil must be introduced into the engine. Old pump oil is really harmful to the engine. It lowers the efficiency and gas fumes a get worse. The life of the pressure washer gets adversely affected because the pump oil degrades the pump shell and what not. The frequency depends on how long you use your pressure washer. If the equipment is brand new then you should change the pump oil after 15-20 hours of running or about 3 months after purchase. The first time pump change is done early because it helps in the engine to be fresh and new, plus the old oil is not good for the brand new engine, later you can decrease the frequency as the engine gets older. After changing for the first time, you should change the pump oil after 200 hours of working or a year. This figure is best for the pump oil change. The pump when gets older, you should start servicing and see if any significant change in the frequency of the oil is required. You can judge that by seeing the old oil. If it has worn out with fewer hours of work comparatively, then you should increase the frequency. 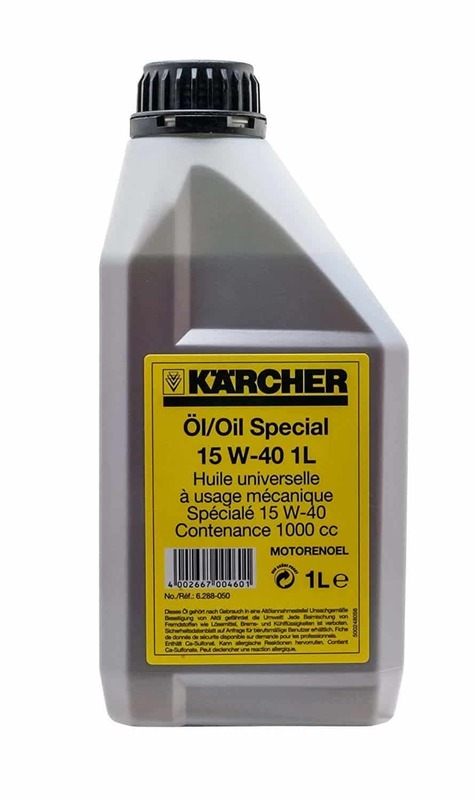 Please don’t use any other type of oil for pressure washer pump, not any motor oil, because the pump engine is special and sensitive. 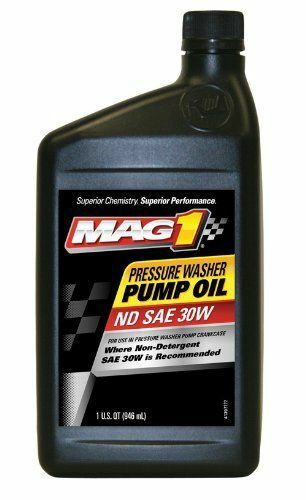 The right kind of power washer oil, not some motor oil your car or bike needs. If you do so, your pressure washer engine can get ruined within a matter of years. So only use the pump oil specially formulated for pressure washers. Copyright text 2016 by Pressure Coach.